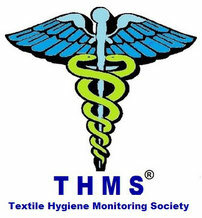 THMS - THMS textile hygiene monitoring society Webseite! Textile hygiene protects against infections and following diseases! As a non-profit association we want to help you with information to protect against dangers of infection with allergens or pathogens and consequent diseases on textiles. We all work as Volunteers! On these pages we would like to inform you about the risks of infection that arise from textiles and in particular from shared textiles. We live in a time when more and more people are traveling around the globe fast. This is why hygiene in hotels is particularly important because of the risk of spreading pathogens and parasites quickly worldwide. Mites are our constant companions all over the world and live in all textiles we use. The feces of these parasites contains proteases, an allergen that can damage our immune system, cause allergies or trigger allergic shocks that can be life-threatening. Mattresses, can not be washed, take year after year around 180 liters of body fluids associated with pathogens and parasites that can multiply undisturbed there. And with each use new mites are introduced. With the temperature of the user creates the ideal climate in which viruses, bacteria and fungal spores proliferate. The problem of mites is present in all textiles used by us, regardless of whether these textiles are used privately or commercially. Hotel mattresses are a real source of infection! A hotel mattress is used every year by more than 120 people from all parts of the world without being washed or cleaned, however, the mattress also absorbs around 180 liters of bodily fluids during this period, associated with parasites such as mites and pathogens such as Viruses, bacteria and fungal spores of the respective users. Some pathogens have long incubation periods or remain in our body. That means, before the guest notices the first signs of illness, weeks to months can pass. However, he now carries the pathogen and spread it on. When eating foods that are contaminated with pathogens, our body's reaction is promptly accompanied by nausea, vomiting and diarrhea. In the case of textile hygiene, it takes these reasons before our body shows its first reactions to an infection with pathogens. Do hotel operators hide behind the fact that these pathogens are not noticed immediately and do nothing to protect the guest from these dangers? All the more it is obligatory for each provider of overnight stays to ensure the protection of his guests against the dangers of an infection, because possibly brings the guest with pathogens, which is transmitted to the following users of his mattress! I have checked a lot of hotels, after refusing to take a sample I rented as a normal guest and then checked the mattresses. The frightening result shown to the hotel manager who then demanded to take a sample in a room of his choice in his presence. The shock was great and you have to report that to the owner. In the end, mine had no budget for this action. We're talking about 23 cents for a mattress and pillows to make sure that the next one does not get infected with what his predecessor had left invisible there. There are 23 cents that have been paid by the guest, who are familiar here with INFECTIONS SAFE TO OVERNIGHT! It is our responsibility to protect our family, however, every hotel operator has the obligation to protect the guest from being driven and is liable for any damages incurred to the guest during his stay in his house! In order to protect all guests from the possibility of infection with these parasites or pathogens, mattresses and pillows must be treated with freshly laundered bed linen after every guest change before dressing to ensure that mites and pathogens are safely killed! 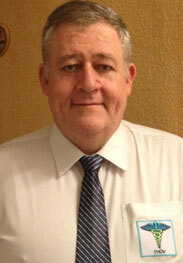 So that allergy sufferers can enjoy the stay with you, use the THMS certified "Parasitol Textile Hygiene Spray." It kills not only parasites, such as mites that are known as allergen producers and we constantly bring back to bed with immediately 100% It has antibacterial and antiseptic properties thanks to its patented composition. Mattresses and pillows from about 50 cm applied with a spray push. The fine mist spreads over more than one square meter, penetrates into the textile fabric and acts immediately. Only then can the guest be protected against possible infections.